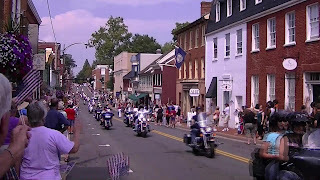 Leesburg hosts a wide variety of downtown events. This ride began in Somerset PA, stopped at the Pentagon, and ended at for the World Trade Center site in New York City. On its way to the Pentagon, Leesburg was pleased that it drove through our Town.